In this fifth episode of Social Effects, Edward spoke with Hong Kong-based Vivien Liu is the founder Studio UNIT, a multi-disciplinary practice specializing in architecture and photography. She has been practicing architecture for over 10 years in the United States, Canada, United Kingdom, Hong Kong and China. 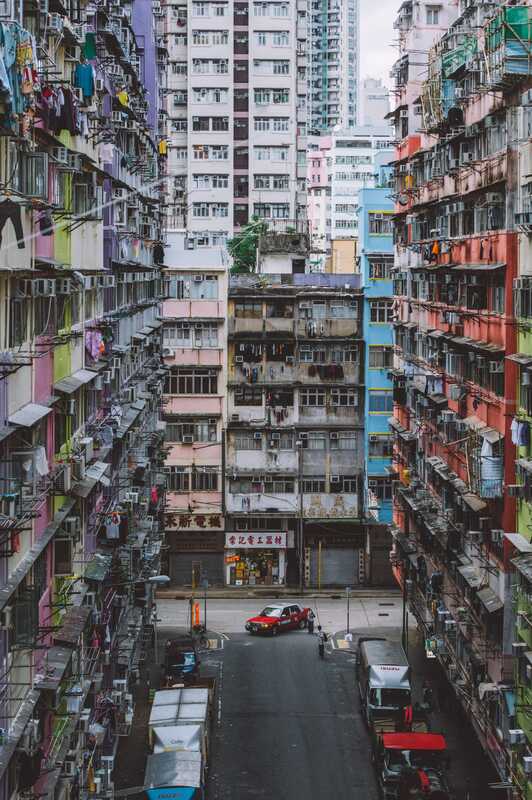 Six years ago, she discovered a passion in photographing the urban density and architecture of Hong Kong and around the world. 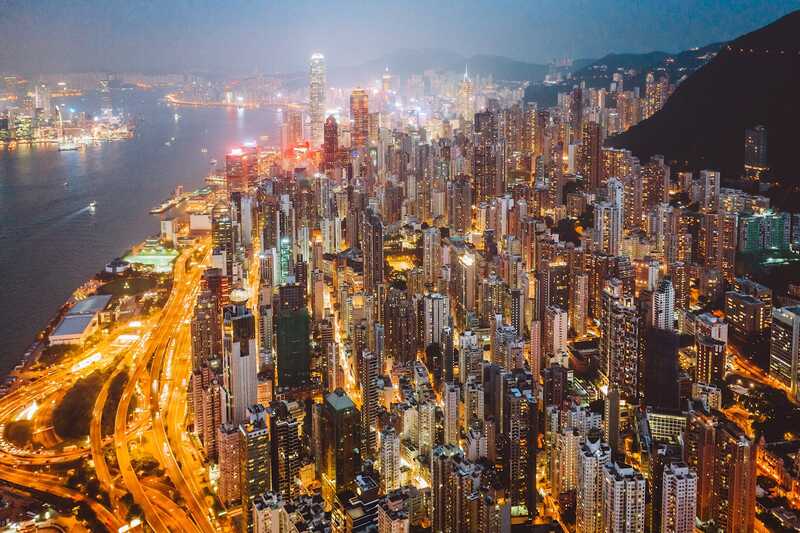 Her photography on Instagram has attracted more than 230,000 followers who check in to see her unique view on Hong Kong everyday. Since then, her style has broadened to include portraiture and natural landscapes. 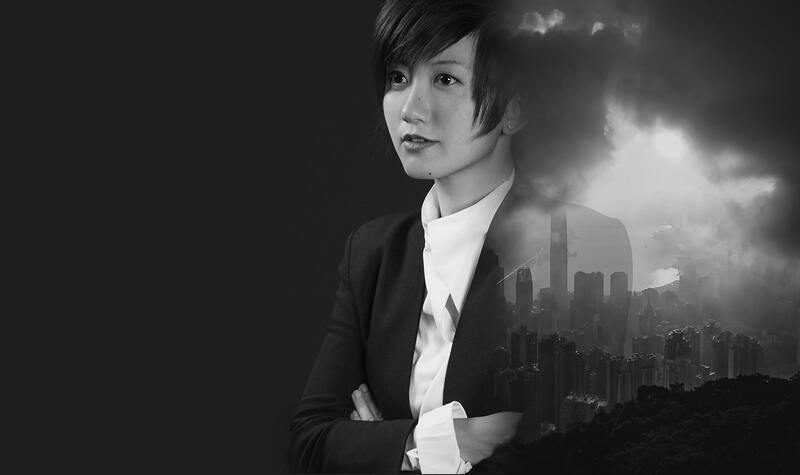 Her work is trusted by a wide range of clients including Nikon, Huawei, Nike, and The Hong Kong Tourism Board. I think every place, every person has the ability to make their individuality shine if you embrace it, and if you respected yourself more. I think Hong Kong in a way, I see the beauty in my city, I think people still have to recognize that beauty would not stay if they don't cherish it or if they don't preserve it or if they don't respect it enough. Edward: Hey guys, I’m here today with my good friend, Vivien Liu. Edward: And we’re going to talk about a number of things today, but I think first off, Vivien why don’t you introduce yourself and talk about what you’re doing and where you’re from? Vivien: Hi, I’m Vivien. I’m actually Canadian-Chinese living in Hong Kong. I’m trained as an architect, do photography for kind of a part-time job as my habit, as a distraction from work at an alternative creative channel. I studied architecture in Canada and the United States and after graduating my masters in the U.S., came back to Hong Kong in 2010 and worked as an architect since. Edward: Cool, and you’ve worked with some of the really good architecture firms in Hong Kong? Vivien: Yes, so when I graduated, came back and started working for Office for Metropolitan Architecture–OMA. They’re a Dutch firm based in Rotterdam and had just opened their Hong Kong office about a year ago when I joined them. They were working on competition for the West Kowloon Cultural District. That’s why actually the office got set up. But I mean, when I joined, they had just finished the competition and unfortunately didn’t win that project, but the office continued to operate in the APAC area. So I worked on projects in Greater China as well as Hong Kong, mostly just pitches to get the firm a kind of foot in the door in Asia. Edward: And you were doing that around the time—correct me if I’m wrong—there was like a huge boom in architecture in mainland China? Vivien: Oh yeah, the boom was happening way before then, but we kind of caught the end wave of it before China announced that ‘no weird architecture’ statement. It was actually because of one of our buildings, because OMA did the CCTV in Beijing and you know, everyone was like: “Oh, it’s the pants.” Which kind of enraged me a little bit in the beginning because it actually isn’t pants. If you look at it at the bottom, it’s actually a loop. And the story about the building is based on a visitor loop because it’s CCTV and the client had a kind of intention to bring the public inside the building and the diagram of the building is a loop instead of a tall skyscraper that competed with the rest of the city and it’s actually one of my favorite buildings, ironically. It used to sadden me because I saw the vision of it while people took it at face value and took it very literally and said it’s weird because they look like pants. Vivien: So I mean unfortunately that did kind of, I don’t know, indirectly stall a lot of potentially innovative work from foreign architects and local, of course. But actually I’m curious about the direction where this is going to go because I mean, sometimes you do get a lot of weird stuff going on in China, but I think that’s part of everyone’s experimental process and that was what made building in China very very interesting. Edward: So you pretty much saw quite a fast evolution of a movement in a way, from start to almost finish? Vivien: Yeah, correct. I mean there’s a lot of hideous stuff, but it’s still very interesting to me because I think everything is subjective and I think, just like the CCTV building, if you really get into the story of it, everything has a story. It might look weird in the beginning at first glance and you might take it literally. For example, there’s building near Guangzhou that looks like a coin and that’s kind of like a symbolism of Chinese people’s literal affection for wealth and their upfront manifestos of what wealth is. Like, okay, if we build a building in the shape of a coin, then wealth will come and that’s kind of the story, literally, of that weirdness. If you know it and think about it, it’s really interesting because when are they going to stop taking things literally and integrate a design vision that’s not so upfront about things? And to me that’s kind of an evolution. Edward: Would you say then that this period has been more of a Western-Chinese collaboration of architecture or is this a movement? What would you call this, would you call this literalism? Have we been through a period where people with unlimited budgets get to dictate exactly what they want to see with no kind of monetary drawbacks? Vivien: Yes and no. I think what we’re seeing, all that weird stuff and kind of strange things that we don’t see in other parts of the world, is kind of like a honeymoon period of how Western designers try to work with Chinese culture or another culture and that’s interesting because that’s the product. Sometimes you see things really literal, sometimes the French architects building the most… I don’t know, personally I would say hideous stuff because that’s kind of the chemistry that was the outcome of some Western architect working with a Chinese client. I think when I was OMA, everyone was trying to feel that out. Rem—who was the founder of OMA, Rem Koolhaas, Pritzker Prize winner—had been interested in the discourse of China since for as long as I know, when I was aware of architecture, since I was studying at Harvard, he had been teaching Chinese modernism and his theories on Chinese modernism. But I think what’s interesting is when I go into practice and when he deals with the struggles of the technicalities of practicing in China, it’s a very different story albeit his story is one of the most interesting ones because he theorizes it so much. When he does try to realize that vision, part of it does come through and luckily OMA hasn’t done anything that’s, to me, a literal translation of Chinese values, which tends to be, I’d use the word “kitsch,” but there’s no big roof on a skyscraper kind of thing and things are kind of more theoretical and the cultural values are more integrated into how the building is carried through and realized in a more subtle way. Edward: Okay. We’re going to come back to Rem Koolhaas later when we talk about how design is influenced by social media today. I just want to move on to the part where you left OMA and went to work for another great architecture firm, KPF. Vivien: Right. I kind of went in another extreme because OMA was so…I don’t want to say avant-garde, but they do very “visionary” things and like I said, it was a very experimental time and I think a lot of clients or internally, people weren’t ready to take compromises, from either side. And I think that a lot of projects didn’t get realized or there were a lot of competitions that we didn’t win. Edward: Because it was too out there? Vivien: I mean, I was quite new to the firm and a lot of politics weren’t made apparent for me. But in hindsight, I think it was a bit of both. There was a bit of knowing how to deal with Chinese clients, I can’t say for sure, but getting a feel for how to work in China. Everything just moved so fast. Before that statement was made, no weird architecture, I heard they’re doing better now and I think that honeymoon period is slowly coming to an end and they finally, hopefully know what clients want now and they’re getting more projects. But going back to why I left was that I found it eventually kind of frustrating that I wasn’t getting the construction experience and everything was still left in the conceptual stage. I think subconsciously, we’ll talk about that in a bit, but like, I wanted to eventually realize my own visions and architecture and I’m like, well that’s not helpful to my growth, so I wanted that construction experience so I picked a very very corporate, commercial firm that opened its offices in this part of the world just to administer construction, which is why I went to KPF, prolific projects like the ICC, Hysan Place and now Victoria dockside. So you can see, compared to the CCTV, these were on the complete different end of the spectrum. Both very high end, very very high profile projects and top notch firms, but very different philosophy. That goes without explaining, everyone knows the ICC and what type of client or what type of a building that is. Edward: I think in my animation career, moving from Nickelodeon, which was very whimsical and it sounds very similar to the difference between OMA and KPF. At Nickelodeon, there was very much a creator-driven, at that time, “do what you want, let’s hope it works out, we’re not going to change the way we look at things and either it works or it doesn’t work,” to moving to Cartoon Network, which may actually be—I don’t know if it was an Asia thing or a Cartoon Network thing, I’m still trying to figure it out—but it became very corporate and very driven by numbers and success and revenue. But it really helped me grow my career. It showed me something that I never would have learned at Nickelodeon. Would you say the same thing happened to you at KPF? KPF, I learned about the technicalities of things, the administration side and how to deal with clients, how to manage a project. So I think right now I’m at a point where I’m ready to put these skills together which is why I decided to leave KPF and pursue my own vision and architecture and design. Edward: Okay. We are going to come to that. I just want to backtrack slightly because I think, you’ll have to give me the timeline on this, it may have been when you started at OMA, but at some point you picked up your photography hobby. Edward: Were you at OMA when it started? Vivien: I was halfway through my time there when I picked up photography. Vivien: I did, but to be honest, when people ask me that question, I kind of struggle to answer a little bit because at first, I would say I wanted a distraction from my job, but I kind of loved my job at OMA. And really it wasn’t a distraction. It’s more like a kind of alternative creative channel that I actually later found out offered me the liberty to express myself more. When you’re in a company, especially if you’re not in charge of the design—now I could say that even if you are—it’s never 100% yours, which is what makes photography even more interesting because in a kind of team environment or a corporate, company environment, any kind of successful company is never up to a single hand who drives a design, it’s always up to a team. I’m not saying it’s a bad thing because I always ask people for their opinions and I do really believe that more minds are better than one. Edward: Not always. Sometimes it’s good to see one person’s vision. Vivien: Well that’s the difference between photography and architecture because photography is so personal and architecture. Yes, maybe the original concept could be personal, but the execution depends on the scale of your building. It just gets very technical very quickly because of the nature of architecture because people have to use it and people live in buildings and you just can’t do anything you want. So consolidating my thoughts through the years, which is why I thought photography was extremely interesting because it’s almost immediately gratifying. I didn’t know that at the beginning and now when I really sit down and think about it, it’s really a different experience for me because I’ve never actually tried to be so happy with something I did so quickly. When we take a good shot, I look at my camera and I’m like, “wow, that’s a banger, I’m so happy.” And that almost never gets granted in the world of architecture. Essentially coffee shops are starting to look exactly the same around the world. They're having exposed lightbulbs and wooden tables and quirky, kitsch mugs and menus on clipboards. But that's what I'm seeing everywhere and I think this has come about through globalization and the social media, I'm not saying it's a bad style, but as a result of this are we missing out on some local creativity that may never see the light of day because they've been globalized? Edward: Right. Yeah, I get it. I totally get that. But then going from that like, “wow, I love this, I just took this, I’m going to share it with the world” and almost straight away, maybe you realize that a lot of other people loved what you were taking as well. Although, I think there’s one thing you told me once which is that when you first started, your Instagram was private. Vivien: I recall my first memory of Instagram is because I really liked the filter that one of my friends put on it and I’m like, “how do I get this filter on the pictures that I like?” Without thinking that it was a social media thing because that was what 2011, 2012? Vivien: And I was very insular, I spent hours in the office and I didn’t have any conscience of what social media is. Edward: Do you remember which filter it was? Was it Hefe? Vivien: Not Calvin, for sure. I think it had the reddish leaks on it? Vivien: Yeah, so I thought it was kind of cool. I wanted to try that. So I downloaded the app with no intentions of putting it live. I wanted to just put a filter on it and export the photo. Edward: This is a recurring dream with me. It’s just how fast we’re moving as a society, social media, in every essence. But you saying that now sounds insane, but it was literally five years ago, like five, six years ago. “Oh I was just going to download this app to put a filter on something and leave it.”. Vivien: And nobody’s going to see it except myself. Edward: Yeah, that’s insane now. That’s not possible. It must be shared now with someone. Edward: Because that’s the total opposite of Facebook, and very quickly you realize that on Instagram, people were searching for randoms. Vivien: Yeah, and then that’s the way I brought it back to Hong Kong and I started uploading, not even like instant pictures—I started putting architecture stuff because that’s all I knew about—on my feed from my camera roll. For a while, I was putting on my own projects or school projects. I mean, that’s all gone now. I deleted them, but that was what was on my feed. It was just random architecture shots that I took from Beijing when I was doing an internship there, that trip from Seoul, projects from OMA that I visited in Seoul. Edward: And you were finding people were interested in this? Vivien: I was getting these nice comments saying “Nice shot! Beautiful!” Standard kind of thing. And I was like, “oh, this is nice. I could share my pictures with other people I don’t know.” Slowly I think—you know because Instagram is good at that—I started looking at other people’s photos, the explore page back then was very organic. It would show me the work of people who are in Hong Kong. I don’t know if it was you or Tyson whose work I was coming across. I remember it was you. I really liked the graphics. I think I remember I was in India at that time that I had already started my Instagram, right? And I think the India trip was really what propelled it for me to say, “okay, I’m going to consistently share my photos with the people on this app.” I think in India, I started to notice your stuff because I was trying to do stuff with my pictures from India and wondering how to make this better. At that time you were really open about how you worked. There were these weird apps that you used to pixelate things and fragment things and that’s really cool, I wanted to create that and put text over all my photos. Edward: Yes, there was this app called Over for text and it had loads of different fonts and I would write on my photos just like, really moody things, like one-word Moody things, like “that’s my mood. Get with it, people” and then also there was another app that pixelated the photo to some degree. If you just did like 30 percent of the photo it may not be noticeable, but it create a kind of cool effect. Vivien: And then you used Image Blender to blend those in. Edward: Yeah that’s right. It’s a lot of effort, guys. Vivien: Yeah, I remember Image Blender because I still use it. I was using it recently but, it didn’t work out because I wasn’t happy with the resolution now. Things have changed. But there is Image Blender and then there’s this app which pixelated your pictures. It was like a picture in the U.K. of a sunset. It was a street. Edward: Yeah, I remember that picture, and that was quite a long caption where I talk about all this stuff. Vivien: Yeah. I was like, “oh cool, he’s sharing it and I could do that with one of my India pictures,” like why would you do that In India where you have plenty of beautiful, beautiful pictures, why would you want to pixelate them? Edward: Is that picture still up? Vivien: It’s still there. I didn’t do it. Yeah, if you scroll down my feed, you’ll see some pictures from India. That was the time at which all of this was happening. I left those up because it was when I decided that these pictures were to be shared. I came back to Hong Kong, because then I knew about your start, I started following you and Tyson and Jethro—the great Jethro Mullins, powerful Instagram power user. Edward: He showed us all the way. I was really inspired by these people. So I noticed you guys had meet-ups. I think it was a Macau one that I picked up on. And I thought, “oh that’s cool, maybe I’ll join the next one” and unfortunately, the next one was a first come first serve, so I didn’t meet any of you guys. It was like a seafood junk. It was on a boat. It was the other guy who hosted Insta-meets with Tyson who did this one and I didn’t know they took turns because I thought I’d meet Tyson, Jethro, I’m going to meet Edward. I was really excited and I was like, “oh damn, those people didn’t make it because they didn’t register in time” and somehow I managed to register. It shows the desperation. photos, it was 50% meeting new people. Vivien: What you said is interesting because I didn’t know that before I went on my first meet, I really didn’t know what to expect and of course, I had my friend Sylvie, who also got a spot and she’s great. She was up for any kind of exploration with me at the time. So we went on the seafood boat and I met Pete who was the other co-organizer of HK Instayay. But yeah, so regardless I met cool people and everyone was nice. I met Nathan and some people who I still keep in touch with like Maria May. I don’t remember. Edward: Yeah, we met so many people over such a short period of time that you can’t even remember who was at which thing. Vivien: Because everyone was a recurring face. Every time we hosted these things we would get familiar faces and then some new ones which was great. Edward: Yeah. So from that I just want to talk about how pretty much the reverse happened with you which was that I think…Maybe he’d met you, maybe he hadn’t, I couldn’t remember, but I went for lunch with Tyson and he was just like: “Oh, we’ve got to hit these architecture spots because I’m seeing all these cool places. There are new photographers taking cool photos in Hong Kong.” And like he showed me three people and I remember one of them was, he was like: “vdubl, man we’ve got to meet up with her and take photos with her.” And I can tell you, I remember we were a place called Campers having lunch and he handed me his phone and I was just like, “woah.” Just different architecture in Hong Kong that I’d never seen from any particular angle or knew of. And that in itself is really rare today that you could see something in a city that… I mean we always say that everything’s been shot in the city now, but it really hadn’t in 2013, not on a grand scale. So you were looking at things that are very commonplace now, you were looking at them for the first time and I remember seeing at least three or four photos from you that I could barely make sense of. You know, like is that looking up? Is that looking…You’re thinking now which ones, I didn’t know what they were. Is that a residential building? Is it a chimney? What is that? What am I looking at here? And they weren’t played with, they were just great shots taken on a phone, so again, shots that you would think to yourself, oh, if I go there I can take that shot as well. So that is my first memory of hearing your name, following you and then not really…Again, we met at one of these meet ups many months later. Vivien: I mean, I don’t think it was many months. Stuff is like dog years, it happens so fast. Yeah, so probably a week later. At that time Tyson was leaving and he’d announced his departure. We’re like, “oh God, we have to make this happen. We have to meet him. I have to meet him.” And that was the first time I met him, that day in Sai Kung. Edward: Yeah, and then a few days later, we went to a place—and this goes back to things being shot on a regular basis now that weren’t necessarily five years ago—but we went to a place called Garden Hill, actually near where we’re recording this now, and we watched the sunset and that was the second time we met. But the point of this story is that we were the only ones up there on this day that the sky turned purple and it was amazing and we were just there with our iPhones. We took good pictures with our iPhones. But we recently revisited Garden Hill and it was packed and I would say that that’s something we’re going to talk about in a bit which is the “Instagram effect.” You can just start talking about that now. So yeah, we can talk about the places that I saw on your feed in 2013 that I’d never seen before, and I did go to all those places. How do you be unique in this environment where things proliferate at an incredible rate? How do you be forward-thinking, how do you be cutting edge, how do you be innovative? I think my answer to that would just be personal style. There's nothing more unique than your character, you. Vivien: That’s interesting because I didn’t know about these places either, but I saw it on someone’s photo and I was like, “oh, I want my own interpretation of this. I want to see it with my own eyes and see what I make of it with my camera.” So I think we’re already discussing it going into this topic because I didn’t discover these places. Like, I discovered your work, I discovered it on somebody else’s feed. So I was like, “okay, where’s this place, I have to go there.” And I don’t remember if they told me or they had it in their caption and I just figured it out. I think it’s probably the latter because believe it or not, I was still so shy, I was like, “oh my god. I can’t talk to this person, they’re going to judge me” or whatever. So I did mostly detective work to find these places and I think I’m still doing that now. Edward: Yeah, but people were a lot more open then as well. I mean even in terms of they would tag it, and then they would maybe say something about it, but I feel like everything now is much more like generic. Vivien: Yeah, this touches on the topic that we’re about to go to because some places just can’t have that amount of traffic or else nobody’s going to take photos of it. That’s not being selfish, but all people aren’t open about it now because it might prevent future access to that spot. I think that is just an indication of the power of social media. Yes. I mean, just not even touching the surface. Edward: Yeah, absolutely. I think we have, for better or worse, been a huge part of that. How long did it take you to feel like you’ve developed a style as opposed to looking at other people’s work and wanting to go there if that makes sense? Vivien: Yeah, it does. It’s just hard to answer. I’m actually looking at my feed right now. I think yeah, definitely I was inspired by the people I follow. But being a designer myself I wasn’t going to replicate things. Edward: Yes exactly. That’s what I was thinking. I was thinking you already had an anchor point of design and architecture to start from and it almost, I would say…Did you ever have ‘architect’ in your profile? I feel like I knew you were an architect before I met you. Vivien: Yeah. I think I put it in my profile at some point. Edward: And it literally, for me, legitimized your architecture for photos over someone else’s. Oh you know it really yeah yeah yeah because you’re just like, “wow, she knows what she’s doing.” She said architects and the architectural photos, right? Okay, let’s get over some of these places. Vivien: That’s what I thought too because I was like, when people ask me: “Oh, you take really nice photos” and then I would just explain because I’m an architect and you know we’re trained this way and until recently, I was told in the face that you know, “not all architects take photos all. Some try and they can and I’m like huh. Interesting because you know I had always thought that architecture instilled in me. And I would tell people that you know it was because of my training that I took photos like that, right, because I was drawn to geometry was drawn to symmetry. And like I would say a very technical way of looking at things and that was how I only looked at things because that was how I only knew how to look at things at the time, and I couldn’t help, but create that symmetry and I couldn’t help but create strong lines or leading lines or whatever. I didn’t know back then, but it was all subconscious. I didn’t think about it, I was like, ” this is the way I do it because of that kind of OCD about lookups and things that were not centered.” Nobody taught me that, it was in me to do that. And I think if people are curious, that’s how I developed the style. Edward: Listen to that people. That is how you develop a style. But what you’re saying is at that time you thought that any architect should be able to take photos like that because of how you were trained. Vivien: Because I had no reference at the time, it was all so new to me. At the time I don’t think I’d met any other architect that used Instagram in the same way. Not that I knew of, my friends were just taking food photos even though they were architects, they didn’t use it to express themselves architecturally. Edward: It had obviously been done before with DeviantArt and Flickr and a few other platforms, but I think we were at the start of a wave of people expressing themselves in a mass way, in a design-led way, as opposed to a food photo. Yeah, if I look at that time now, not just architects but designers, the grid style of Instagram lent itself to taking a certain style of photo that could create a very aesthetically pleasing look for someone who wasn’t trained in any sort of design, who could look at something and think that is beautiful and I would like to see more of that. I’m not sure if that’s still the case or if that era or movement has passed. But yeah, that’s kind of how I feel about that time, we were there when showing people pretty patterns was a viable way of having people invest time in you. Vivien: Yeah, and I think it’s a bit of a combination between my character as well because I was very introverted at the time and we can talk about how this whole experience changed me. Edward: Yeah do you want to talk about it now? Edward: You were going to talk about how it changed you. Vivien: Oh, yeah. The thing is, I went to my first meetup and I met you, Tyson, and a lot of people from the community in Hong Kong. Vivien: Literally that day, things changed for me because these are strangers, but I don’t know why I feel like I know them, because I’ve been following them and I know their lives and I know their style, I know who they were, what they did because they would put it in the caption and like you said, people were open about themselves before and it was almost kind of magical for me because I didn’t meet these people and I knew them. I think that was the power of Instagram from that day on, it gave me the courage to meet people and be a lot more open about myself as well and I’m still working on that. It’s changed me and fundamentally, I’m a very introverted person, but here I am, I’m talking to you now. I never thought all this would have happened before that day. It sounds dramatic, but it’s true. Edward: No, my story, as you know, is very similar. It involved moving to a new country and not being so introverted, but just being somebody who has friends and doesn’t need new friends because I have my friends. That’s the kind of mentality I had. Moving to a new city threw me into a situation where I did need to make friends. Vivien: For you, it’s even more interesting because you came from somewhere else. Edward: Yeah, it is and it isn’t because it depends which way you look at it because people move to Hong Kong all the time, so that’s not particularly interesting in itself. So you’re like, “okay I’m just one of the thousands, the tens of thousands that moved to move to Hong Kong in that year.” So that’s not interesting. Then, thousands of people also use social media to talk to people overseas or to show off their life overseas. That in itself isn’t interesting. You can see I’ve thought about this. So that in itself isn’t interesting because that’s happening a lot. It is some combination of the two and the best way I can put it is that this particular pastime meant that you got to know people away from that meet-up as well. So this friendship or meet-up thing just carried on before and after the actual meet-up and you continue to know more about these people’s lives. And so whenever you did meet up, you felt closer to them than if I just met you dragon boating and then we dragon boated every month together, I’d see you once a month, we’d catch up for an hour and that would be it. But at that time, this photo thing was a twice daily, two or three updates, way more regular than Facebook. And it’s that that drew people together and made relationships closer, faster. That’s a good way of putting it, it’s like you knew these people before you met them. Vivien: Yeah. And I think that that continued until I think we did Instameet HK. That was the epitome of this meeting up with people from different circles way more than what I would have had if I stayed in the social circle of architecture. Edward: So Instameet HK was when we took on this meetups thing and we just carried on the tradition laid down by some of the other people that were here first. We just did meet ups, photo meets ups throughout Hong Kong and as the app was growing the number of people getting involved was just huge. So that was like me, Vivien, Nathan and Jess at that time, and later Elaine Li. We didn’t plan for it at all but we started to very quickly have 60, 70, 80 people following us around any particular neighborhood in Hong Kong. Sorry to interrupt. Vivien: Yeah. So I think fast forward like a year after we met. There was Instameet HK. Edward: It was less than a year. I mean if you want to give it exacts, let’s say we did an Instyay and we met in summer so it was like June, July of 2013. But It required so little planning in terms of like, just ask people to show up because we have these followings, and they did and that was the start of something, a movement. Vivien: And I think at that time it was also during my transition from OMA to KPF. I think eventually, the group started getting bigger and bigger and the places that we could go with such a big group were getting limited. I don’t know where I’m getting at this, but I think that kind of was a consideration that I had to think about on top of my work because I had started working at KPF and construction administration wasn’t as easy as I thought it was. Work kind of took up a lot of my time. I don’t know how many months after Instameet HK was established, but eventually I found myself a little bit too busy to host. First of all, I’m not big on public appearance, like I already said, I’m shy and I have this fear of public speaking, so if you want me to organize something like the responsibility to take 100 people, which I did for one of them, that was getting a little bit too stressful at the time for me to handle. And I just wanted to take a bit of a load off from my work at the time. So I think that’s when I handed it over to Elaine and Jess, as well as yourself and you’re going through the same thing. Edward: Yeah, something very similar. As a result of any pursuit that’s supposed to be a hobby, the minute it started to feel like work or additional work, then it kind of went away. But I would segue that into: did photography itself ever start to feel like work for you? Not photography, but the sharing of photography on social media to other people, has it ever felt like work to you? Vivien: Oh yeah, it has. For sure, because it is now to a certain degree. Although I won’t let it take over my architectural work, but when you said ongoing, it’s really true because I’m trying to find a balance now. Now I’m up to my own means to pursue whatever I want to do, it becomes a difficult question because it’s a relatively new passion photography, will I let it take over what I was initially going to pursue? When I started my company, Studio Unit, I wasn’t ready to let go of architecture nor photography, but I knew that photography wasn’t going to take over architecture because I still had that dream of chasing my vision in architectural design, basically what I invested my education in, so I wasn’t ready to let go of that and I’m still not. So right now, when you asked me does photography feel like work? I would say yes, only to the degree that I let it. Because we talked about this, but when I was at KPF I had a stable salary and I could easily say to someone I don’t need this and please, understand that I’m doing this for fun and if it’s not fun and if it takes a significant amount of effort and time off my full-time job, I’m not going to do it because it’s not worth it and that’s not why I’m doing that. But now it’s changing because of this balance that I’m trying to seek out. Do I want it as a job, and I’m already having some jobs, but how far am I going to put up with things? I think that was the power of Instagram from that day on, it gave me the courage to meet people and be a lot more open about myself as well and I'm still working on that. It's changed me and fundamentally, I'm a very introverted person, but here I am, I'm talking to you now. I never thought all this would have happened before that day. It sounds dramatic, but it's true. Edward: You’re saying there’s a commercial work aspect to it that you’re currently taking orders from some people, so already making some small compromises of taking on photography work. Vivien: Yeah, I think the compromise is just time. Before, if it compromised a good part of my time I would say ‘no.’ But now, I have the flexibility to make certain things I want happen, so it’s almost like me figuring myself out and how much time I want to devote to this and if it’s all worth it and I’m still trying to figure it out. But going back to your question, yes, it’s become part of my work. Edward: The question I was asking was less about the commercial side of things and more: do you ever feel like you have to service social media now that you have a following of what is it, 230000 followers? Vivien: I think I’m like 200 short, yes. Edward: So, I would say that by the time people listen to this, you’ll probably have more than 230000 by the time this thing comes out, but do you ever feel the need to service them with content at some point, like you may not want to post or you may not be in the right mind to go and shoot, but you’re like, “wow, I have all these followers waiting for some new bangers from me.” So, not a commercial job, just the people that chose to follow you. Do you feel like you have to give them something? Vivien: Yes. I won’t deny that. I’m also trying to figure out…I don’t know if I should be saying this, but I’m trying to figure out what people want to see and I know that shouldn’t drive me but I’m thinking about it. Edward: This is a brand new consideration. I don’t want to get all high and mighty and say that we are artists, but I would say that in any artistic pursuit, I don’t think in history, the feedback has been that instant on the work that you create and you barely have time to take in that feedback before you need to deliver more work. I don’t if I just used the word need. I can’t remember, but it sometimes does feel like—so we’re dealing with whole new problems that if I put to a photographer from 20 years ago, they wouldn’t know until the exhibition hit, and maybe even after the exhibition, whether the public thought it was nice, but we get this feedback every time we put a picture up and it’s very easy in accepted wisdom to say: “well, you shouldn’t care about what other people think. Just do your own thing.” But I think, at a conservative estimate, probably every 15 minutes to half an hour of your day, you get an opinion from somewhere of another of your work that you’ve put effort into. So how could you not take into account what those people feel? one of my Instagram stories asking—now that they have polls—like, do you want to see more portraits or do you want to see more cityscapes? The majority of people want to see cityscapes. Edward: How did that poll come out? Vivien: I think only a quarter of people wanted to see portraits. That’s actually more than I expected because the engagement I have on portraits, unfortunately, doesn’t reflect that quarter. Edward: It’s a real eye opener. I did something similar, I did a poll and I can’t remember the exact question, I think it was: do people want to see more portraits or not? And I was actually quite shocked at the number of people that I know who said ‘no.’ I’ll never get that feedback again, but it was really good because on that day, I don’t think people realized that I would see their individual vote. Everybody knows now. So I got some very eye opening responses from people I know who just said ‘no,’ they don’t want to see more portraits from me. So you start to wonder whether that affects you, or do you like shooting that so much that you won’t affect you? Vivien: I mean, ‘thank you’ for people who gave their opinion. But I think what I took more of that from that poll was, “okay, there’s people who like my cityscapes and that’s fine, and I really really appreciate that and I cherish that because that’s what you sign up for.” So I can’t deny that and I’m like “thank you, thank you for still believing in what I started with, but I’m also looking for something to develop and grow and try.” So going back to what I’m trying to say is I didn’t take anything too personally from the imbalance of expectations, if you will. I think what impacted me was the feedback that said ‘do both.’ And I’m like, “oh okay, that’s nice because what can I do that’s both?” So I think going back to the point where I only know how to shoot architecture and architecture is my thing, that could be something really special and particular to my style. After almost a year or two of shooting portraits, people are beginning to define my portrait style. I did an interview and they were like: “I’m absolutely amazed by your portraits because you combine cityscapes and architecture with it so well and you stick your models in these incredible spaces that are very architectural and geometrical.” And I think that’s slowly beginning to define a new style which I really like, but I’m not limiting myself to that. I think what I’m trying to say is it’s interesting because when people say both portraits and cityscape it’s not mutually exclusive, it can be both. Vivien: Yeah, now it’s a different discourse because how are you going to build up the momentum again? Given that now it might not be as organic anymore. Edward: Yes, so it’s about how you find that. I mean, if there was a holy grail for Instagram, it’s obviously shooting what you like, when you like. The Holy Grail could actually be posting when you like as well and then everybody loving that. What I find is that me and you, we’re both actually quite diverse in our photography and it keeps me sane and I’m sure you love that as well, you’re not sticking to one thing, actually that’s a hindrance in terms of the followings that we have and that’s why we get these poll responses that are quite diverse because people have followed us for very different reasons. Even in the short time you’ve been shooting portraits, probably the people like your portraits, you probably have followers that like your portraits exclusively. I think that will be the silent minority of people who won’t like your cityscape. You won’t to see them because the majority like a cityscape. It works both ways. So we’ve maybe got some silo’ed fan bases. There’s something else I want to talk about in the back of my head because we had this conversation once and this is where I want to come back to talk about Rem Koolhaas which is… I mean can segue in from this thing we talked about about design and social media and I wanted to talk about creativity. I want to talk to you about whether people are taking their influences from social media, particularly Instagram, and how you see that changing design today? I mean interior design, I mean architecture of buildings. Architecture of buildings is probably the biggest one because that’s something you need so much more funding and investment to be able to look at a picture and say I want it like that, but on a small scale you’ve got interior design, you’ve got fashion—streetwear and things like that. How do you see that going especially in the year that you’ve had your own company? Have you seen trends that have come from social media on a global level? Vivien: Yeah. I think the way that I was influenced to go to a building and shoot it, the kind of allure to portray it in the same way as the original person that I saw. I’m definitely tempted to succumb to that. In terms of when I design, I take inspiration from other people and I use Pinterest a lot and a lot of time, it’s a dangerous thing because it’s almost very interbred, these ideas. If you’re not careful, you replicate them. I think what I’m trying to say is that eventually, I think my answer to that—long story short because I think about this all the time and I get asked all the time—how do you be unique in this environment where things proliferate at an incredible rate? How do you be forward-thinking, how do you be cutting edge, how do you be innovative? I think my answer to that would just be personal style. There’s nothing more unique than your character, you. I’m trying to also seek that out, like who am I? What is my work like? Because working in a corporate environment in a big office, sometimes it’s hard for that to shine through. It could be small, but I want it to define me now. This is why I have my own studio and this is a journey that I’ve decided to take. I think this can withstand time, personal style can withstand any kind of external influence that you are tempted to replicate. I think a lot of it is being true to yourself, knowing what you want. We talked about posting for your followers, I see this image from one person I follow and it does incredibly well, should I go and copy it for that exposure, or do I stay true to myself and do what I believe in? That is a constant struggle I’m going through and I’m trying to find out for myself. Edward: From a design point of view, I won’t have the exact quote, but I think it’s Rem Koolhaas that highlighted…It started with airports, he said airports and hotel lobbies started to look very similar wherever you go in the world and we had this conversation a few months ago about coffee shops. Coffee shops wherever you go, we went to Helsinki, I then went to Taipei, I’ve since been to a few other places in Europe and Asia. Anyone listening to this can probably say the same, essentially coffee shops are starting to look exactly the same around the world. They’re having exposed lightbulbs and wooden tables and quirky, kitsch mugs and menus on clipboards. But that’s what I’m seeing everywhere and I think this has come about through globalization and the social media, I’m not saying it’s a bad style, but as a result of this are we missing out on some local creativity that may never see the light of day because they’ve been globalized? Vivien: That’s a very important question. Edward: What did I say, coffee shops? But what do you think about people’s houses and stuff? Vivien: There’s a reason why Rem was saying that about airports because he calls them non-places because they’re so homogenous and it doesn’t matter what country you’re in, they’re the same. I think the world is slowly becoming like that because of this proliferation of an idea, of an image of what a coffee shop should look like. People are starting to ignore their culture and I think Helsinki is a special case because… It’s a good case because a lot of my clients are saying they want Scandinavian design and this is because it’s a place that stays true to their culture, that defines themselves as who they are and now people want it, that’s a style now. I think going back to that, staying true to yourself and who you are and what your background is and what your culture is is very important because only then you are able to define something. So Helsinki was great because it’s almost one of the original places for Scandinavian design, a powerhouse for what is defined as Scandinavian. So that was kind of eye opening because in Helsinki, we thought people really cherished their local talent, people really respected their artists. Edward: So what you’re saying is if you stay true to your culture, maybe you are the one that expands your design throughout the world? in this environment might not see it. I can’t speak for them because I consider myself lucky because I grew up in a different country and coming back and seeing that Hong Kong is very different. Edward: Different in what way in that time? Vivien: When I was younger, I couldn’t answer it. For me it was sensory. It was the smells, the feeling, the humidity, the air. Going home to my parents’ place, what that place felt like, or if it was winter, the kind of chill that I felt was very unique to Hong Kong. I’ve lived in London, I’ve lived in Italy, I’ve lived in, of course, the United States, Canada. Italy is similar because I think a lot has to do with the weather and the central heating and stuff and the kind of hard concrete surfaces that you find in buildings, that is similar because I lived in Rome and in the winter, I had a similar indoor chill to Hong Kong, but what I’m trying to say is every place has its character and I can’t even put in words, that kind of emotional sensory feeling that I always now try to put in my photos. Edward: Going forward in your design project as well. Vivien: Yeah, exactly. So Cross Cafe, which I recently completed as Studio Unit, my first project tries to bring back that collective memory of old Hong Kong, but I mean, I’m not just replicating old Hong Kong, I’m putting me in it, I’m putting my style in it. Edward: And all sensory stuff. Vivien: And that’s good because I get feedback saying “this is very you” and I’m happy to hear that because I don’t know what made it me because all I knew was I want to put my efforts and my vision in it to realize something that I think should be. The way Hong Kong should sell its culture—not “sell” but really promote or make people realize that we respect our own culture and it’s a beautiful thing—and people are coming for this. 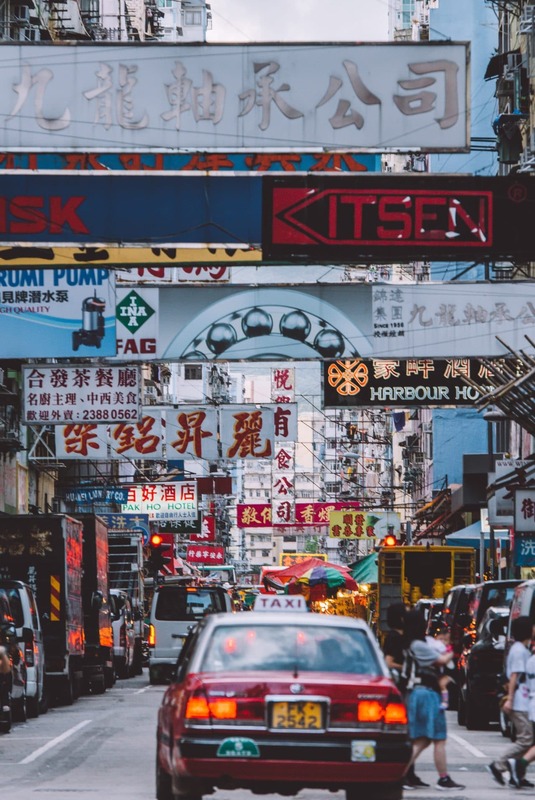 People are visiting Hong Kong for this, this beautiful what could be like the neons, the Chinese characters on the neon signs, the kind of tenement building iron frame windows, back alley gates with spray painted numbers on, that’s all very indigenous to the city. I think it’s a shame to lose that because of development or commercial interest and the kind of textures and the grain of the city is gone with that and I wanted to bring that back with this little project. Edward: I honestly think you succeeded with that. Vivien: I didn’t replicate it, going back to that, because I didn’t think replication was the way to go because everyone was forward. So my thesis was what is next? 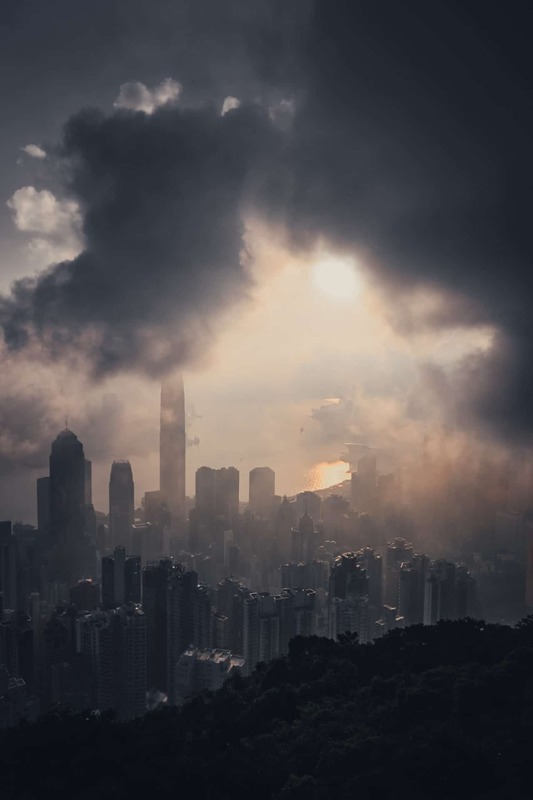 What is the Hong Kong aesthetic in the future? For me it’s to preserve what was iconic about it. Not to put it in a kitschy way, but kind of reinvent it in a modern context. How do I make it fit into the culture of the scale of the street? So it’s in a very gentrified area, it’s a kind of confluence of the West and the local culture which is fundamentally what Hong Kong is and it’s perfect because this is a perfect testing ground here for what I think my vision should be because I’m always interested in contrasts. I’m always interested in a chemistry between two very different things. I think something interesting would come out of that and hopefully that is what Cross Cafe is, and it’s only the beginning. I’m trying to strive to get projects where I can continue this thesis. To really promote Hong Kong culture and make people see the beauty of our past and what I grew up in. All the tastes and smells and sensory experiences of the city that are associated with these memories. I think that’s what makes Hong Kong what it is. I think it would be the thing that would withstand all these threats of non-places, of a kind of brainwashing power that social media has for the good or the better. I think that’s that’s my theory for now. Edward: That is a solid theory, I like it. I think we’re going to wrap up there and I just want to say thanks for coming on the podcast and good luck with Studio Unit which is one year old this week. We just want to see more photos, whatever you decide we want to see, we probably want to see them. All right? Vivien: Thank you. Thank you guys. Subscribe to the podcast Social Effects and follow Vivien Liu on Instagram and visit Studio UNIT’s website.